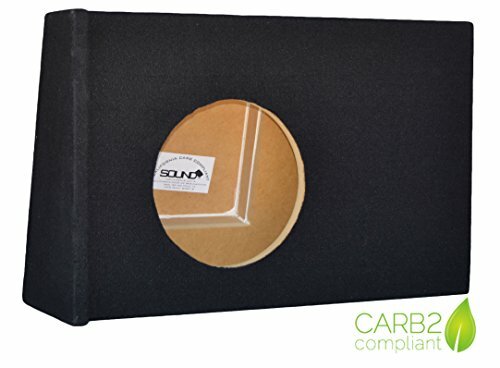 SoundBox Formed Series custom subwoofer enclosures offer a guarantied fit and quality sound. Constructed of industrial grade 5/8" MDF, the Formed Series line of enclosures allows for maximum space usage available in your vehicle. THIS ENCLOSURE IS CONSTRUCTED OF CARB COMPLIANT P2 MDF. CARB COMPLAINT P2 MDF IS THE ONLY TYPE OF MDF TO BE USED IN THE CONSTRUCTION OF COMPOSITE WOOD PRODUCTS. NON CARB COMPLAINT MDF IS NONE TO CAUSE HEALTH ISSUES. If you have any questions about this product by SoundBox Formed Series, contact us by completing and submitting the form below. If you are looking for a specif part number, please include it with your message.